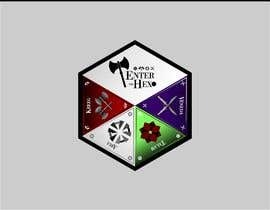 Create a logo for an online series called "Enter the Hex"
When finished, the logo will consist of five parts that fit together to form a hexagon shape. We are asking you to design for us now two of the five parts (we know a hexagon has six sides, we'll explain more below). If your submission is selected, you agree to design for us the other three parts in a similar style as the first two parts within 7 days of being awarded the contest for an additional fee of $225 ($75 for each of the remaining three parts). 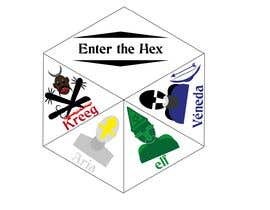 The series is for a role-playing game based on a Dungeons & Dragons style of game. We're looking for a Game of Thrones type of look and feel. If a hexagon can be divided into six triangles, the top two triangles will be joined together and be one of the parts we'll ask you to design (see attachment). 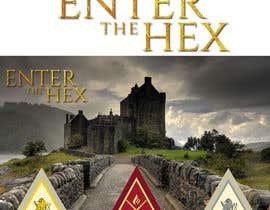 It will feature the name of the series: Enter the Hex. 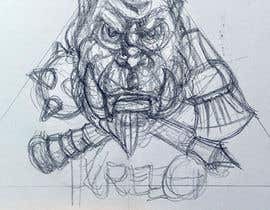 You may select one of the four remaining logos to design. 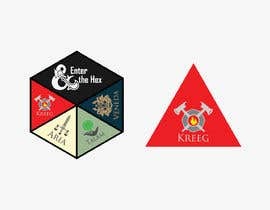 Each will will also fit into a triangle shape and be a stand-alone logo, and eventually the four triangles, along with the double triangle shape Enter the Hex logo indicated above, will be able to join together to form a hexagon shape. 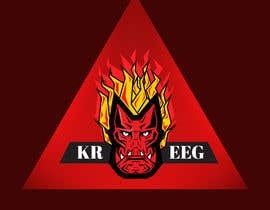 Each logo will serve as a coat of arms or a different team or group. Each will have a different symbol and color. 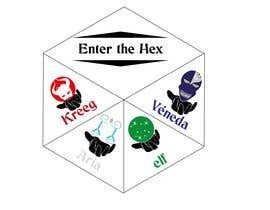 These are the names of the four are: Véneda, Talam, Aria, and Kreeg. The logos should feature the team names in a complementary font that you would suggest for each team. 1. 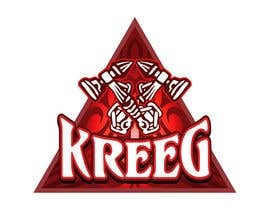 Kreeg. 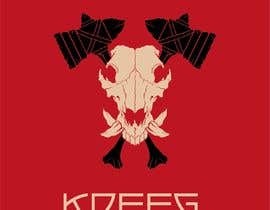 A red color, war-like, aggressive, weapons like hammers, swords, spears, fire. Your typical dwarf, orc, barbarian group. 3. Talam. A green color. A Gaelic-derived name meaning earth. Nature, vines, neutral, flow, peaceful, trees. Your typical druid, elf group. 4. 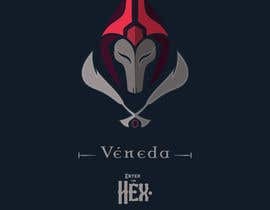 Véneda. A dark blue or bluish purple. Mysterious, dark, illuminati, masks, shadows, finesse, think Sheik from Zelda. Your typical rogue assassin group. 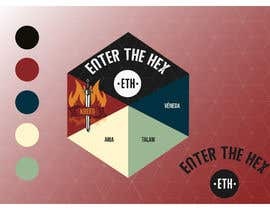 We invite you to pick one of the teams above, along with the "Enter the Hex" title section, and show us the symbol, level of detail, texture, and color you would select for it. The graphics you design need not be triangle shaped (we will be using them in various ways), but should fit within the triangle shape. We'd also ask you to select for us the colors you would suggest for the other groups whose logo you would eventually design for us, if your submission is chosen as the contest winner. So your submission would consist of two pieces: 1) the full hexagon shape (should be a perfect hexagon, with all sides being equal) with "Enter the Hex" featured in the top two triangle areas, along with the other team logo you designed inserted into one of the remaining four spots, and recommended colors in the remaining three spots (see attachment); 2) a separate close-up view of the individual team's section of the hexagon that you designed. 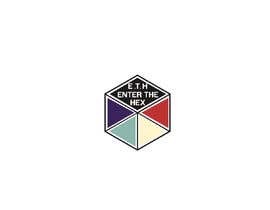 Please only submit if you can commit to finishing the three other logos to our satisfaction within seven days after being awarded the contest prize (we are wanting to move quickly on this). The finished product must be delivered in layered Photoshop or other current Adobe Creative Cloud products. If you Google search Game of Thrones houses, you should see some good references for what we're after. Some terrific work here. Thanks to all who submitted. We are evaluating and hope to make our selection soon! Could they add more time to the contest? Please note that we are not looking for a typical logo that would be used for business cards, letterhead, etc. Please see the instructions (sorry they're so long, but we're trying to make it clear what we're after). Thanks. I've uploaded a new reference graphic to hopefully better explain the two pieces we're hoping to see. 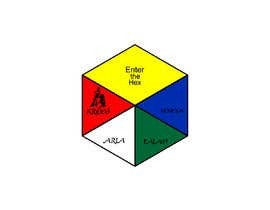 We will want each of the four logos to work as standalone logos. 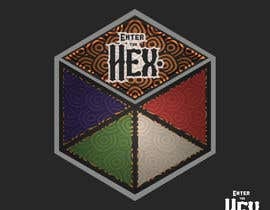 As such, we’d want to have the base of each triangle within the hex as the base of the logo as far as orientation go. 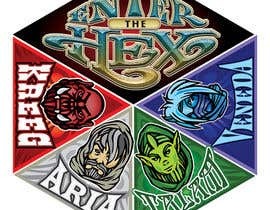 So when the logos come together to form the hex, it’s OK that the logos are at various angles within the hex, not all upright. 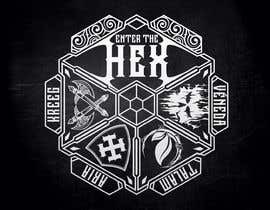 We'd like to see detail in the team logo you design, so we've made that about the same size as the hexagon itself. Hopefully that helps clarify. If you have any questions, please ask and we'll respond as soon as we can.